The Oberon Book of Monologues for Black Actors, Volume One: Monologues for Men: Classical and Contemporary Speeches from Black B (Paperback) | The Drama Book Shop, Inc. 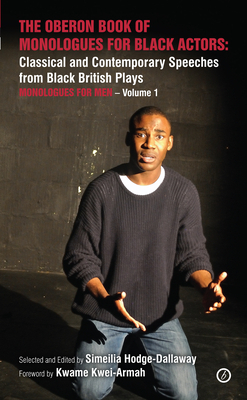 These collections feature speeches by Britain's most prominent black dramatists, including Kwame Kwei-Armah, Barry Reckord, Lydia Adetunji, Roy Williams, Courttia Newland, Rachel De-lahay, Nathaniel Martello-White, Errol John, Ade Solanke, Trevor Rhone, Inua Ellams, 'Biyi Bandele, and Arinze Kene. Each selection includes production information, a synopsis of the play, a biography of the playwright, and a scene summary.